Foundation wall cracks are a nightmare for any homeowner. They are often an indication of a serious foundation problem that will most likely be costly to resolve depending on the underlying cause of the cracks. 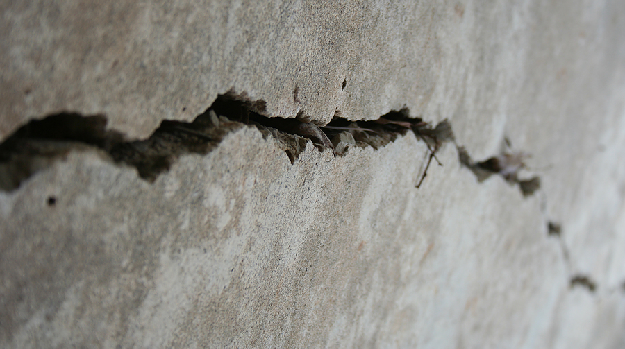 You may be surprised to learn that foundation wall cracks can occur as a result of the constant shifting of your home. This shifting is the result of the changing conditions of the soil surrounding the foundation. While shifting of soil is normal, the extent to which the soil shifts plays an important role in whether you will experience cracks in your foundation. When the foundation of the home is exposed to large amounts of water, the foundation will shift as a result of the hydrostatic pressure exerted against it from the surrounding soils. This often results in cracking especially when the force is much more than the foundation can handle. Foundations can also crack when the soils surrounding the foundation lose water and become dry. The volume of the soil is greatly reduced causing the soil to shrink away from the foundation. This greatly reduces the support that the soil provides the foundation and leads to the foundation bowing outward. This ensures run off from rain water on the roof is not deposited near or close to the foundation of the home. Ensure that gutters are cleaned regularly and downspouts drain into a proper drainage that guides water away from the foundation. Ensure that your landscape slopes away from the foundation. This will prevent water from accumulating in the soil near the foundation of your home. Install outdoor drainage systems to guide water away from the foundation. Avoid planting trees near the foundation of the home. Be sure to have a professional contractor check the cracks in your foundation and guide you in the repair and maintenance of your foundation.